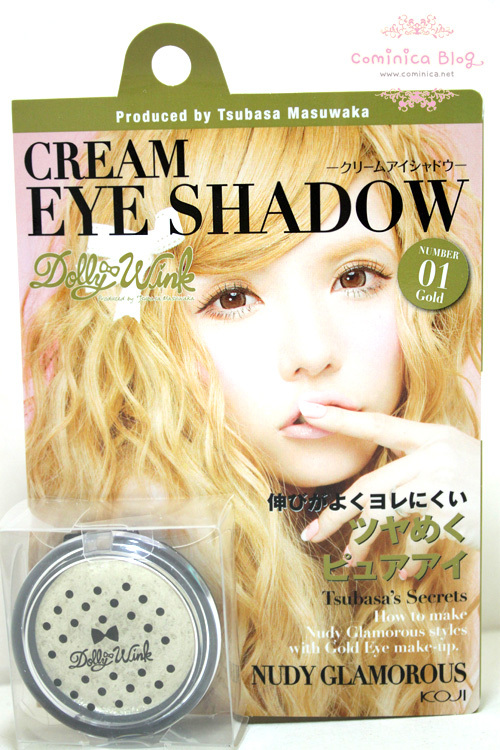 Hello ladies~~（*´▽｀*） So now I'm going to share my review about Dolly Wink Cream Eyeshadow no. 1 in Gold. As I mentioned this on my post here, I really love love this Cream Eyeshadow. This product is sent to me from Kay Collection for review purpose. Read more if you want to know why I love it so much. Unlike the eyeshadow, this cream eyeshadow clear plastic on front is look a bit cheap IMHO. Thanks it has cute polkadot pattern on front and cute logo, hahaha. Packaging quality is okay, I love the round shape and the light weight compact packaging. With only one swipe! You can see the glitters is blend well with the creamy texture. I try it as a base and the eyeshadow was stay longer and the colors look more obvious on my eyes, yeaaaaayyy~ I'm so happy with this cream eyeshadow. It's so different with Holika-Holika Cream shadow "here". Apply Dolly Wink eyeshadow and you can see by your self how the color look so bright and pretty~! The glitters makes it look shiny and brighter too. You can use this cream eyeshadow as a base like me or just use it alone. Like how tsu-chan teach us "How to pure shiny eyes". This only make our eyes look brighter and fresh IMO. I love love this cream eyeshadow~! Remember my oily eyelids? It's not a problem if I use this cream eyeshadow. I love how soft the texture is. Not thick, light weight and easy to blend. It works great as an eyeshadow base~! The cheap-looking packaging is a minus though, but still look so cute, hahahha it's Dolly Wink anywayy. You may dislike this cream eyeshadow if you hate bling-bling and shimmery finish. Or if you prefer a matte eyeshadow base, then this product isn't for you. I know Dolly Wink it's pricey haha, but for me as long as the product is cute and good. I don't mind buy and it's a Japanese brand though, quality is always nice along with interesting Kawaii packaging. Have you tried this product? Do you love it too? You can get All Dolly Wink products at Kay Collection Indonesia. You can find their store at Pacific Place B1 #10A, Gandaria City LG #15, Kuningan City Lt.3 #45. Department Store like, Sogo, Debenhams, Seibu, Metro, Matahari, Keris Galery and some Guardian drug stores. Kindly visit their facebook "here" and "here". You can purchase All Dolly Wink products from there too, just contact them. I like cream shadows too. They are so easy to use. Gorgeous colors with these. 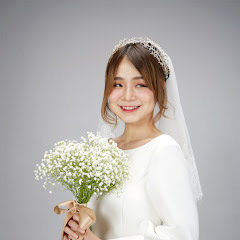 Say.mau nanya,dolly wink ada dijual di multiply gak ya? 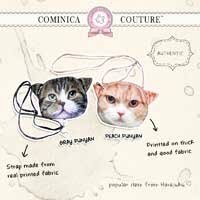 Love Dolly Wink's pretty packaging! The finish reminds me of my Mac Chilled on ice! I have #02, Rainbow Crystal(? 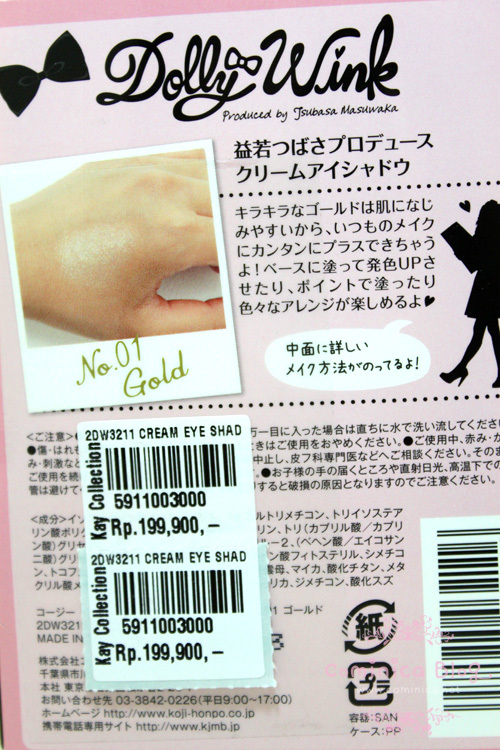 ), which has larger glitters, but in a clear gel/cream base; I like it, its very soft for such a glittery product! Definitely not as subtle as this gold one (so I won't wear it on a work day), but I haven't tried it under eye shadow though, maybe I can try that. Now I also want this one, haha! thank you for sharing dear..